Walk On The Wild Side; Growing Up With Prostitutes and Lou Reed. I’ve been neglectful of my blog for some time. Last thing I posted was something I wrote for a performance piece. Not an original post. I posted it because I felt I should let the readers and followers that I am so grateful for, know I was still here. A pebble on a window pane. Meanwhile I struggled with what to say. I faced this at the start of my blogging journey, and was surprised at what came out. It was not the subject matter I expected, nor the tone. In fact I became a kind of blogger of death, rather than a guy who pulls down his pants and honks a horn. That last part has less to do with blogging and more to do with a lifestyle choice. Chicks dig it. Wouldn’t you know it though, that another death would bring me back to the page. In this case Lou Reed. He was a hero and guide to me. I grew up in San Antonio. But in my imagination, I lived in New York. Not the New York of now, but the old New York, before it was cleaned up. The mean streets. I was different, New York seemed home to the different. 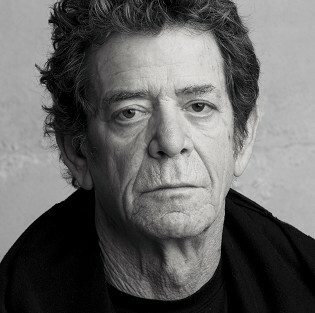 Lou Reed became my guide and mentor to New York and the shadow side of life. I had no idea what a transvestite was. What a prostitute was. I learned that Head could mean something other that what I would put my baseball cap on. I learned that people put needles in their arms, becoming their own doctors and making bad choices. It began a life long interest in the people that no one else saw. The invisibles. I looked for New York in San Antonio. I might see an alley, and with some flexibility and imagination, I could almost see it as a New York alley. Through Lou Reed, I discovered those well dressed women in my neighborhood that I always thought were walking to the store, were actually prostitutes. I just thought they were rich and dressed up wherever they went. Friendly too, they always seemed to be leaning into a car giving directions. Some drivers were so lost that the women got in the car with them. Lou Reed told me what they were, what they did, even why they did it. I was thrilled! We had prostitutes! Just like New York. I lived close to downtown and I was already sneaking out at night, riding my bike to visit the homeless people downtown. I liked stories, they seemed quite willing to tell theirs. It seemed important to them that someone knew their stories. As the hour would grow late I would leave downtown so I could get some sleep before school at St. Cecilia’s the next morning. I started spending a little less time with the homeless, and more time with the prostitutes. On my ride home I would ride down Cherry Street, find the girls, say hello, sit on two old tires, and watch. First they tried to shoo me away, when that didn’t work, they seemed to find amusement in me, a sort of pet. Eventually they talked. They seemed to need to talk even more than the homeless people. I saw some walking, some talking to people in the cars and disappearing for an hour or so. Sometimes they would come back and step into a shadow. I would watch their silhouettes as they would wrap their arm, then put a needle in it, pause for a moment, then slide down the corrugated metal wall they were leaning against. A while later they would emerge right as rain. I visited even more, they seemed to talk to me even more. They were also protective of me, as were the homeless guys downtown. My mother died when I was 3. I was raised by a grandmother who was cruel and distant. Lou Reed changed the the way I looked at the world. What started out as characters, became people, the most human among us. I’d like to say that it was the Church and Catholic School who taught me tolerance and compassion. But they seemed to be teaching something quite different. It was Lou Reed’s songs and stories that taught me the importance of story; of knowing the story behind a life, of hearing it when it’s told, and doing it right if you ever were the one to tell it. I still love New York. Even many years later when I became a rabid Red Sox fan. I love the character of a city, so full of characters. It is the creative epicenter. The birth canal for creative expression. Lou was my first favorite writer, he opened the door to me finding others. He taught me how to see the darker side of life more through your heart and less through your eyes. Thank you Lou. You will be missed.